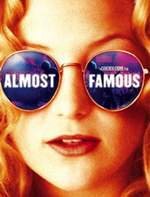 This 'coming of age' film is Cameron Crowe's semi-autobiographical story of his early life in rock and roll journalism. Crowe won the Best Screenplay Oscar for this film. Both Kate Hudson and Frances McDormand were nominated for the Best Supporting Actress award. Music fans will love this engaging behind-the-scenes look at the egos and eccentric characters that orbit around the most famous rock musicians. "Be bold and mighty forces will come to your aid." "You've got to take what you can when you can while you can."